Kylie Jenner and her rapper boyfriend Tyga looked cozy as they flew in their private plane to Las Vegas where Tyga was scheduled to perform. 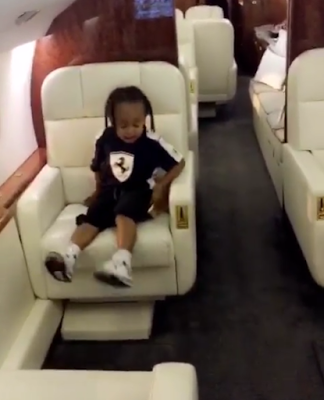 They also had Tyga's son, King Cairo. Awwwn, isn't it cute?